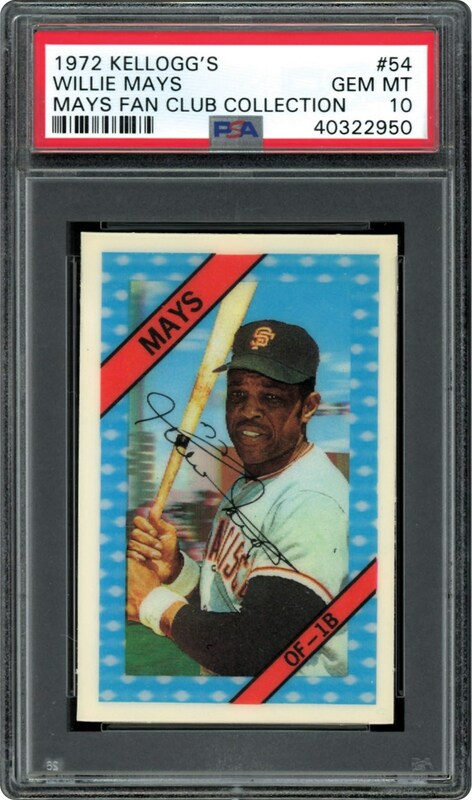 This 1972 Kellogg's 3D card of Willie Mays is the RARER version with "1855 RBIS". Offered in a Perfect PSA 10 GEM MINT holder. 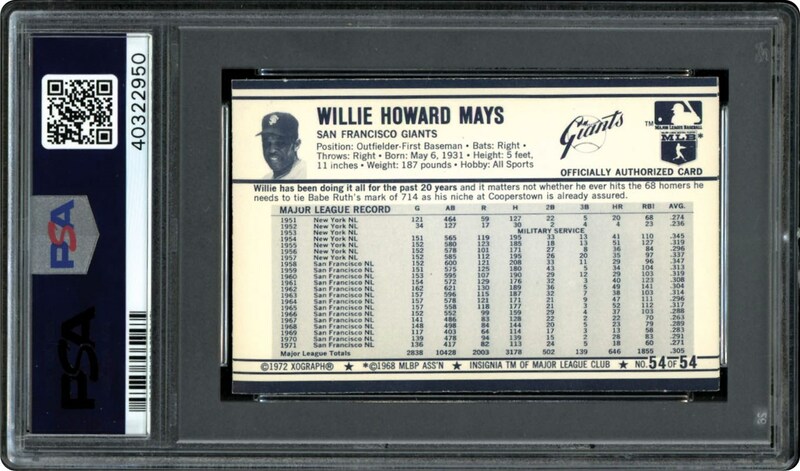 One of 8 graded 10. Get the best one in the hobby!! !